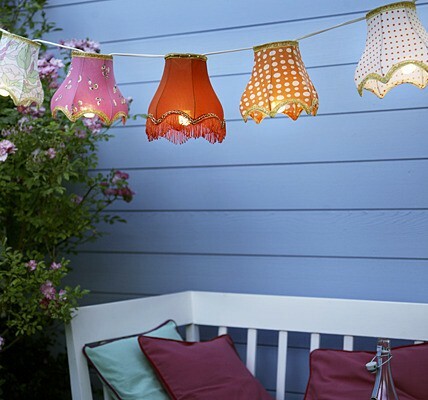 Vintage shade outdoors – what a wonderful idea and colorful way to brighten up the patio. Just get a strand of large lightbulb lights and find some adorable shades – simple simple! Another thing to add to the “when a get a house” list.